Accepta 2047 is a high performance; anionic flocculant based on a high molecular weight latex emulsion polyacrylamide co-polymer. It is scientifically formulated for use as a flocculant in effluent and wastewater treatment applications. 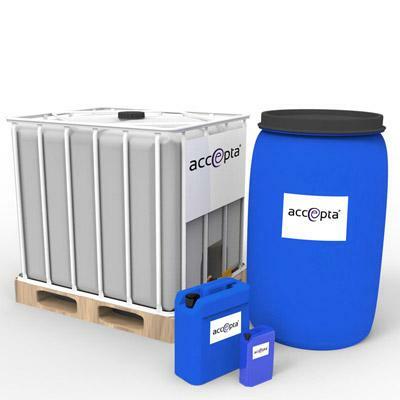 Accepta 2047 is designed to flocculate suspended solids and is particularly useful for non-potable raw water clarification, primary and secondary effluent clarification, oily waste water clarification and filtration. Accepta 2047 can be used to replace Magnafloc “110L/115” or “3127” as an example. Water solubility Water soluble. Solution concentration will be limited by its own viscosity. Always add Accepta 2047 to an area of maximum mixing as far upstream as possible. Do not use a centrifugal pump as this will destroy the molecule. Accepta 2047 is best applied at a 0.01% – 0.05% solution. For primary clarification flocculation use 1 to 5ppm. In line filtration use 1 to 5ppm. Sewage treatment 1 to 30ppm. Oily waste water clarification use 1 to 10ppm.